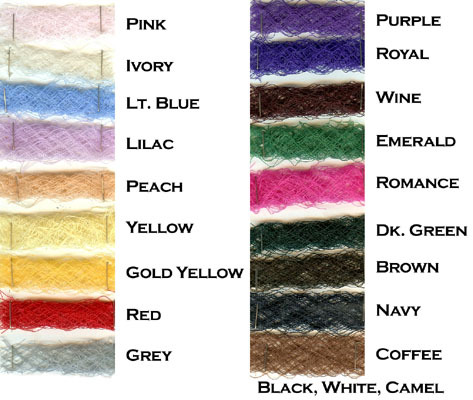 We stock these fabrics in 9" & 18" widths on boards of 25 yards and 100 yards, per color. We also stock 12" in white and ivory on boards of 25 yards or 50 yards, per color. Shipped Directly from our New York Warehouse. Contact us today for immediate shipment. We stock these fabrics in 9" widths on boards.